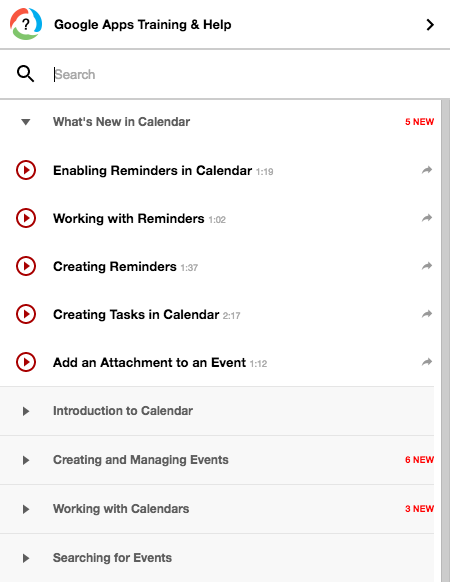 One of the great things about Google Apps for Education is that new features come around all of the time. It is sometimes difficult to keep up with all of the new features that come out. How about this one? 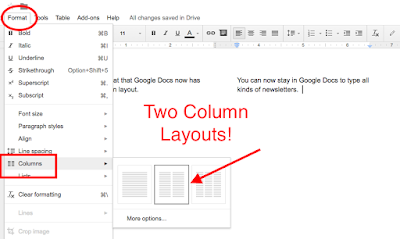 Google Docs now has a multiple-column layout available. You can now layout in two or three columns to create those flyers, newsletters, handouts, etc. that you would have to leave Google to do. 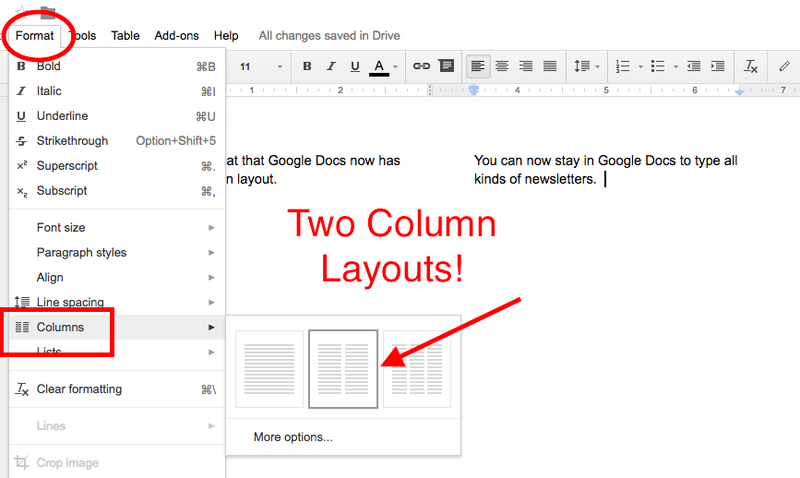 Now you can enjoy the power of collaborative work and create those communications with multiple column layouts. Have you ever wanted to learn more about Gmail or Google Drive? 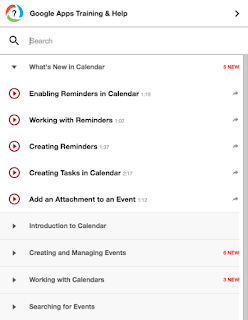 Ever wanted some quick tips about Google Calendars? Well, you now have an easy way to get those quick tips. Synergyse Google Apps Training is now available in your Google Apps for Education account. You'll want to install it in your Chrome Browser through the Chrome Web Store. Synergyse is an extension that installs and appears in each of your Google Apps in the upper right corner near the settings gear. While in one of your Google Apps, like gmail, calendars, docs, or others, you can click the circular logo to open training videos and tips. Check them out. They are a great resource and easy way to keep up with what is new with Google Apps for Education. This is the last of the installments of FETC 2016. This will be the last summary of sessions and a few quick take-aways. As I mentioned in my previous posts, this might have been one of the best conferences I've attended. The sessions were informative, thought provoking, and full of real-life experiences. It was also nice to be attending the conference with 3 others from my district, which provided all of us the ability to process what we had heard. My first session of the last day was Schools That Work for Kids, with Eric Sheninger (@e_sheninger). He shared about the process he went through to change his school into a school students wanted to attend. He wanted his school to work for the students, because most schools work for the teachers and ignore what the students want or need. He talked about what changes needed to occur and that those ideas came from having conversations with the students. It was important to make it "their school." He created awesome learning spaces and allowed the students to design them. He shares his presentation with everyone here - bit.ly/Schools4Kids . You need to answer a few questions, but then you have some great resources. He mentioned that you really need to work the hard to inspire the ones that don't want to change. I also attended another of Eric's sessions later in the day, Digital Leadership: Changing Paradigms for Changing Times. He shared how technology is changing the educational landscape and that we need to adapt and anticipate those changes. He stressed the need to embrace social media to tell your story. You also need to create a brand to represent your school and make sure your messages always support the brand. Focus on improving public relations and continue learning like never before. His experiences are well documented and he was sure to point out that there were failures along the way. It wasn't easy, but the benefits were great. Here are some resources that he shared - bit.ly/DigiLeadICLE15. There were a few more fun ones, but I am going to save those to use with my friends. Maybe a future post will give them away. If you ever get the chance to attend FETC, do it. What a chance to learn and connect with some outstanding educators and leaders. Mark your calendars for 2017 - Jan. 24-27. FETC built its conference around the following topics: Communication and Collaboration, Digital Teaching Tools and Game-Based Learning, Educational Policy and Leadership, Emerging Technologies and Maker Tools, Instructional Design, Mobile Learning, Online and Blended Learning, Professional Development, and Technology Infrastructure. There were hundreds of sessions to choose from, so the four of us decided to split up and see as much as we could. My first session dealt with Professional Development. Two teachers shared how their PD was developed to model 1-to-1 learning, by recording PD sessions and posting them in their LMS, so that teachers could go back and watch on their own time. The sessions were offered live and recorded. They created a 9-part webinar series for all teachers to learn from. This session illustrated the use of an LMS for professional learning, not just for teaching the students. Our staff could benefit from the creation of PD courses created in our new LMS, Schoology. The next session, a Journey Into BYOT (Bring Your Own Tech), by Katrina Keene (@teachintechgal), discussed a plan to involve students, teachers, parents, and administrators to develop BYOT. Katrina shared success and struggles that they ran into along the way. It is important to ask WHYs?, and think thoroughly through the HOWs?. It is also important to involve all of your stakeholders. Parent education is a big part of success, and PD for staff in being flexible moving forward. There will be a lot of different devices, and the teacher doesn’t have to know them all. Empower the students, let them help or they can figure it out. Lisa Bradshaw (@lbradshawedtech) led a session about Model Instructional Technology Classrooms. She developed model classrooms slowly, so that other teachers in the school could come see the successes that were happening. Model Classroom teachers were given the necessary tech, professional development to know what was expected and how to make it happen, and support of technology leaders when failure (or learning opportunities) happened. Their PD for technology use modeled around the SAMR model. Each year more teachers were added as Model Classrooms and eventually buildings moved entirely to quality technology enhanced classrooms. My next session was conducted by Andrew Marcinek (@andycinek). Andy led a session to examine and explore instructional design and how to plan lessons and units to make learning an active experience. He also spent time exploring learning spaces where furniture and technology allowed students to move about the room and work together in groups. He shared pictures of great learning spaces and encouraged members of the session to think about how we could change spaces for our students. The last session of day 2 was one centered around Digital Citizenship. The discussion centered around just being a good citizen (why do we need the digital part). Students need to be taught and reminded about being a good member of society. These two teachers, Timothy Wilhelmus (@twilhelmus) and Jeffrey Tron (@JeffTron71), shared how they work with students to keep reminding them of these skills. It is not just a one-time lesson. Digital Citizenship is something that needs to be brought back up over and over. There are many resources that were shared. They can be found at Bit.ly/DIGCITFETC16. Sessions were outstanding and we had interesting conversations about how we could bring this information back to our district. There were many things that we can share with our colleagues. It will be fun implementing some of the creative concepts we saw. 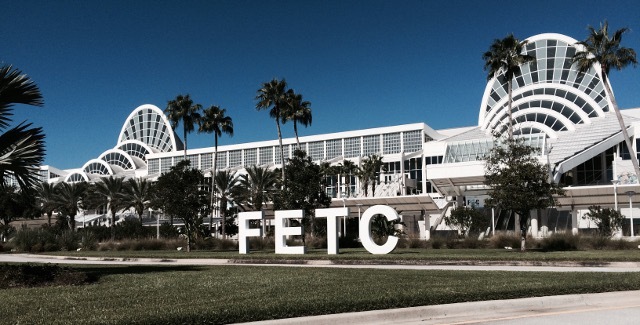 There will be one more installment of learning that occurred at FETC. Last week, I had the opportunity to take a few members of our district's technology planning committee to Orlando, Florida for the Future of Education Technology Conference (FETC). I know, you think Orlando in January, and you think it is just a fun get-away. You would be wrong. This conference was outstanding. The sessions were meaningful and covered issues that were relevant to quality education and learning. Another important quality of the sessions was that the sessions were run by teachers and administrators, talking about their experiences. Many conferences are comprised of sessions sponsored by vendors. This first post will focus on the Keynotes. The opening keynote was Reshma Saujani (@reshmasaujani), who is the founder and CEO of Girls Who Code. She shared her story and experiences as well as framing a need in America. There is a need for our students to understand engineering and technology. She was a huge supporter of STEM education and wants to close the gender gap in the areas of computer science and tech. That is why she formed Girls Who Code. Her goal is to provide computer science education and exposure to over 1 million girls by 2020, through summer camps and after-school programs. The next keynote was Leland Melvin (@astro_flow), former NFL football player and astronaut. He shared his story of growing up with teacher parents, exposure to engineering activities, perseverance, and support. Here is a short video of his story. His ability to overcome failures and setbacks was impressive and motivating. We need to help our students experience setbacks and show determination to overcome them. The last keynote was Sean McComb (@Mr_McComb), the 2014 National Teacher of the Year. He created a program for his school called AVID. This program allowed him and other teachers in his school to move with a group of students through all 4 years of high school. By building relationships, and using those relationships to encourage and push the students, they were able to increase their students’ achievement. Almost all of that group of students was accepted into a 4-year university. Here is a clip from one of his keynotes. His story is clear about the power of teacher/student connections, and the powerful impact teachers have. I will post again soon, with some information about the concurrent sessions that were conducted.